Lasers and laser based equipment have wide range of applications in biological and medical science. The objective of the course is to provide sound understanding to the participants on basic working principles, types of lasers and several laser based state- of- the- art technologies along with the strict laser safety precautions to be followed while working with lasers and related equipment. The course features include, fundamentals of Lasers, working principle and basic hard ware of a laser system. 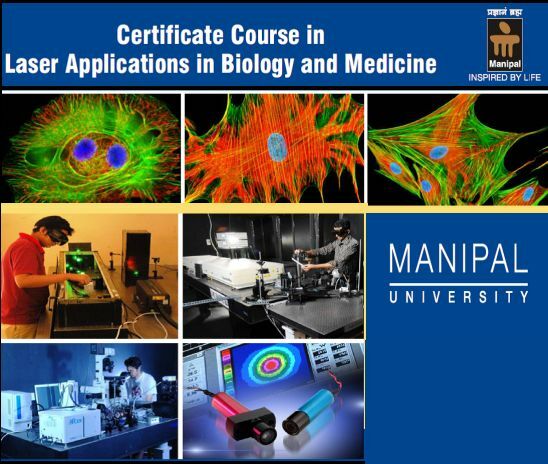 It also gives introduction about different types of Lasers and their applications in Biology and Medicine. At the end of the course, participants will be familiarized with different types of lasers available and their application oriented research at Centre for Atomic & Molecular Physics (CAMP). Eligibility: Candidate with Bachelor degree in any of the following disciplines: Science/Medicine/Engineering/Nursing/Pharmacy/ Allied Health! (Students in the final year of their course are also eligible).